It wasn’t long ago when tobacco companies were using doctors in their advertisements to promote their cigarette products. I have seen an advert from the 1950s where a doctor suggests smoking as a remedy for stress! But the times have changed — and thanks to a greater awareness surrounding the dangers of smoking — rates of smoking in the United States and UK has declined dramatically. However 40 million Americans, for instance, continue to smoke on a regular basis, placing them at risk for a number of health complications. 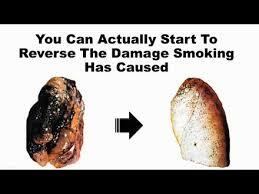 To learn more about the ways in which smoking affects the human body, keep reading. 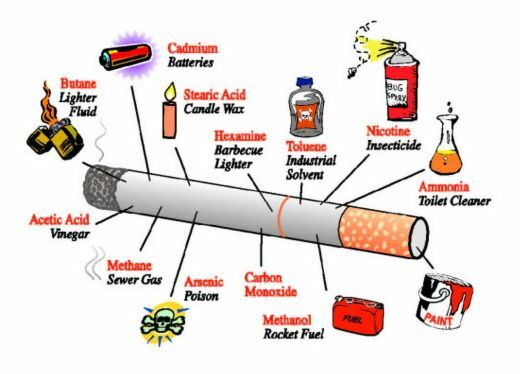 A typical cigarette contains roughly 600 different ingredients, many of which are toxic. If you though that was bad, though, just wait until you hear how many chemicals are inside cigarette smoke. Once lit, the composition of the cigarette changes, resulting in the creation of many new chemicals. According to the American Lung Association (ALA), there are approximately 7,000 chemicals in cigarette smoke — far more than the 600 in unlit cigarettes. Smoking is among the most influential risk factors of heart disease. This nasty habit damages the heart and arteries, increasing the risk of heart attack, stroke, peripheral vascular disease, and cerebrovascular disease. The toxic cocktail of chemicals found in cigarette smoke strain the heart, forcing it to pump faster while increasing the risk of blood clots. Heart disease remains the leading cause of death, this is something that shouldn’t be ignored, especially if you are a smoker. Smoking may also have a negative impact on your circulatory system. When you smoke, the toxins will make your blood thicker (increases risk of blot clotting and strokes), while also increasing your blood pressure and heart rate. This may not be quite as concerning as an increased risk of heart disease, but it’s still worth noting that smoking can damage the skin. The nicotine found in cigarette smoke causes the blood vessels in the outer layer of your skin to constrict and become narrower. This this occurs, it restricts blood flow to the skin, resulting in less oxygen and nutrients. And when your skin doesn’t get the appropriate amount of nutrients, it’s more susceptible to wrinkles and damage. According to a study published in the journal Molecular Psychiatry, smoking damages the lining of the brain’s cortex, the region responsible for memory and cognitive function. The Public Health study in England also points out that smoking can increase your risk of having a brain aneurysm. This condition occurs when a blood vessel begins to bulge due to a weakened blood vessel wall, causing a potential fatal rupturing. We can’t talk about the dangers of smoking without mentioning its adverse effects on the respiratory system. It’s estimated that smoking accounts for 84% of deaths from lung cancer as well as 83% of deaths from chronic obstructive pulmonary disease (COPD). These are just a few of the disturbing ways in which smoking affects the human body. If you are looking to kick the habit, check out our help page here for more advice. Get the support you need to make important life changes. If you would like to complement your therapy with an alternative treatment option (or need a place to start), you might consider trying hypnotherapy. Hypnotherapy can help you deal with WHY you have felt a need to smoke and replace the smoking with healthy strategies. Whether your smoking is driven by habit, stress, anxiety or whatever we need to also deal with that. 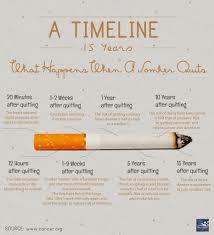 Help you quit smoking for good. Be there for those who want you to stop. Call for your FREE consultation. No pressure. No obligation. Let me help you understand what this might mean for you. I have used Hypnosis and NLP and have helped many quit smoking for good.